SALAD X PRESS is located close to Shanghai Railway Station. 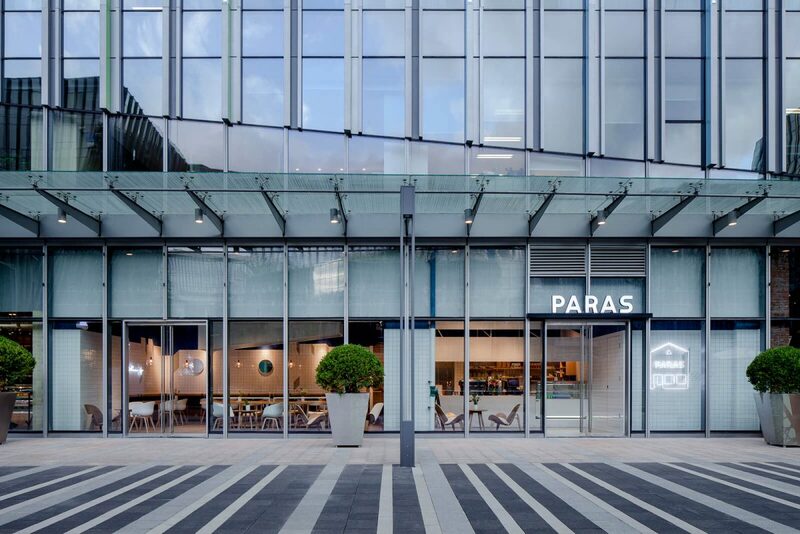 Located in the Hongqiao Vanke Center in Shanghai, the Paras Cafe caters to the staff of nearby businesses and local residents. Finished in blue and white the design primarily uses ceramic tiles, metal mesh and plain concrete with a single use of marble for the service counter. 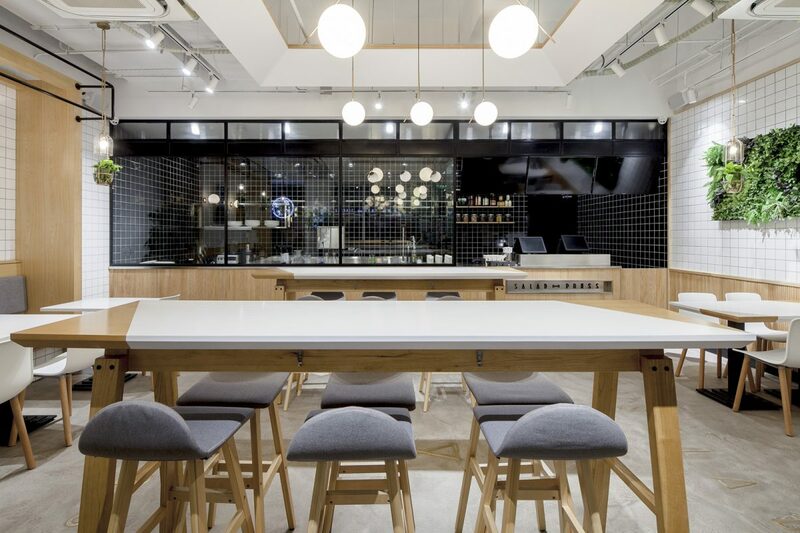 Judiciously hung circular wall mirrors along with the perspective-bending illusions of the grid patterned white tile walls subtly help to create the sense of a large and varied space, which alloy mesh boxes above the service counter and central table area further help to define and divide.